Think of the picture-signs outside shops and the town criers and handbills of earlier times. Until recently, John Wanamaker’s famous frustration about advertising was universally shared and repeated ad nauseam. As we now know, online advertising has changed all that. Today’s advertisers have a better degree of certainly that their advertising dollars have been well invested. Moreover, online advertising technologies enable them to change track at very short notice. They can adjust their messages to exploit unforeseen opportunities or even quickly pull ads altogether if the results are disappointing. But not all online technologies are created equal, and we now talk about the value of ‘intelligent’ ad serving – that is, the ability to publish ads based on data insights rather than gut feel. The earliest ad servers appeared in the late 1990s - they were conventional servers aligned with database servers which stored online ads and delivered them to website visitors. That is still their essential function. 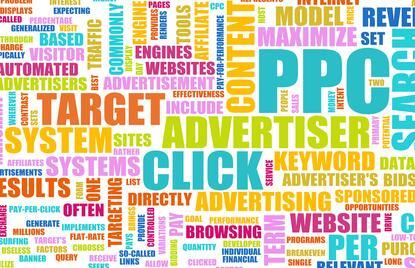 A publisher’s inventory of ads – banners, static images, animations and text – is refreshed for visitors on a continuous basis, and the ad server performs additional functions that include managing a website’s advertising space, counting the number times an advertisement is looked at and monitoring traffic to produce reports that tell advertisers how productively they are spending their online budget. And while online advertising is still in its early stages it is growing by leaps and bounds. Today, it’s a mammoth industry that continues to expand and evolve. From the early days of banner ads followed by pay-per-click business models, we now talk about innovations in demand-side platforms and their application to location-based devices such as smartphones, tablets – and any day now – devices worn on the wrist and others yet to be conceived. Mobile, of course, is where the explosion in online advertising is likely to be most profound in the near term. Numbers vary but there is consistency in the expectation that worldwide spending on online ads will top US$200 billion in five years, and that a least a third of this will be mobile. Near term growth in year-on-year mobile advertising in New Zealand is expected to grow 200 percent according to the recent report, Interactive Advertising Bureau and PwC Advertising Expenditure. How will publishers adjust? Generally, the industry is finding that the old way of managing and selling inventory isn’t keeping pace with market demand. Hence the call for a more intelligence-based approach to ad servers to overcome existing shortcomings and address the challenges publishers now face. Let’s examine these challenges and how they can be met.